Press Release Empire Investigations LLC is a private investigation firm. Our Global reach is sought after by the most prestigious companies and private individuals! AS SEEN IN OVER 360 PUBLICATIONS AROUND THE WORLD! The National Kidney Foundation is the leading organization in the U.S. dedicated to the awareness, prevention, and treatment of kidney disease. For hundreds of thousands of healthcare professionals, millions of patients and their families, and tens of millions of Americans at risk, they provide an opportunity to increase the quality of life. For the 3rd year in a row TSCM experts from Empire Investigations, LLC partnered with the Pittsburgh Social Exchange and Grey Signal, Inc. to host a Holiday VIP event at Stage AE. On December 16th 2015, more than 1,000 VIP’s, including local celebrities, media personnel, and business owners from Pittsburgh and surrounding areas, provided attendance on Pittsburgh’s North Shore. With benefits of the event going towards The National Kidney Foundation, Stage AE provided a fantastic venue to celebrate the holiday season. 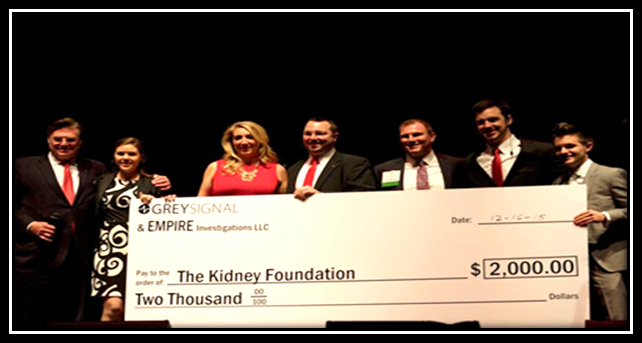 By teaming up with PSE’s Ethan Nicholas and Grey Signal Inc.’s Josh Dronzek, the trio has established an incredible platform to promote their cause. Empire Investigation’s CEO Robert Kresson, Technical Counter Surveillance Expert, is always looking for opportunities to give back to the community “random acts of kindness”. In particular, Kresson has been bringing James Bond theatrics to real life since 1982. Because of this, he sponsored an opportunity for attendees to also experience “James Bond” initiatives. Kresson is hoping that the idea catches on to the Pay it Forward movement as he states, “especially around this time of year, if people can just remember to give a little more than they receive, then maybe everyone can have a better holiday season”. Empire Investigations LLC and The Pittsburgh Social Exchange Teams up with Other Southwestern Pennsylvania Chambers for Annual Mega Mixer! On Wednesday March 16th, 2016 Empire Investigations LLC teamed up with the The Pittsburgh Social Exchange, Washington Co Chamber of Commerce, Peters Twp Chamber of Commerce, The Power of Southpointe, and South West Communities Chamber for the 3rd Annual “Great Gathering at Southpointe Mega Mixer”. This yearly event held at the Hilton Garden Inn in Canonsburg PA provided a fantastic venue for more than 800 different business owners and partners to collaborate from different counties all over southwest Pennsylvania to discuss and share new business opportunities. The Pittsburgh Social Exchange’s CEO Ethan Nicholas and his staff worked diligently in organizing and gathering members of all of these powerhouse business communities with proceeds going towards the Washington County City Mission who for more than 70 years, have been bringing “Hope to the Homeless” by providing shelter to heal, and to restore the homeless to independent living—without discrimination. Last year alone, the Washington County City Mission served approximately 111,764 meals and provided more than 38,000 nights of shelter for those currently struggling in the Washington County area of Southwestern Pennsylvania. For more information on the City Mission and how you can help, visit them at http://www.citymission.org/. 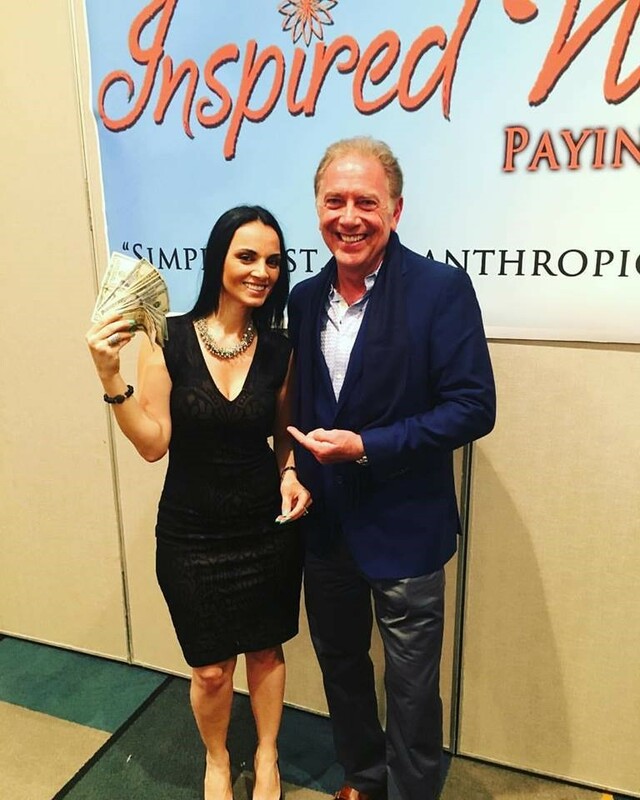 With VIP sponsorship courtesy of Empire Investigations LLC, CEO Robert Kresson hopes to give back to the surrounding communities by bringing awareness to those less fortunate through what he calls “random acts of kindness”. 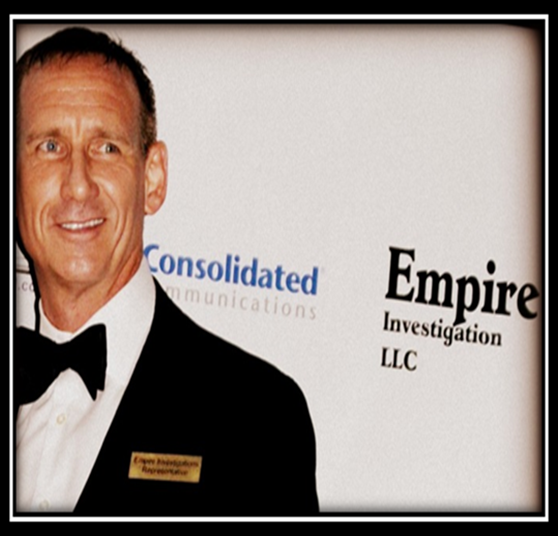 Recognized for his work around the globe, the media consistently calls upon Empire Investigation, LLC, CEO Robert Kresson as a reliable source for investigative services. Kresson and his team at Empire have garnered international acclaim, being featured in media such as USA Today, the Pittsburgh Post-Gazette, and Good Morning America, and from the Jenny Jones talk show to the Saudi Gazette. Don’t miss out on this exciting group’s next Pittsburgh Social Exchange event by checking out the event schedule online at http://www.pittsburghsocialexchange.com/ and visit Empire Investigations LLC online at www.areyoususpicious.com. 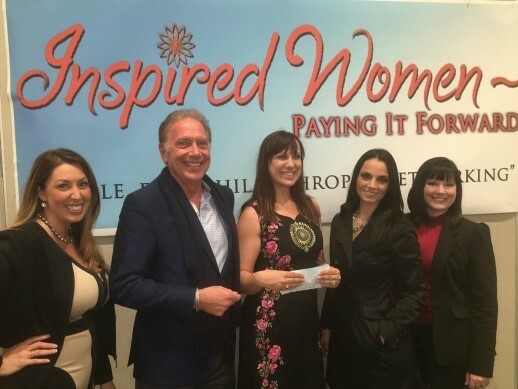 Empire Investigations Teams Up with Social Media Guru Batya Maman & the Global Sisterhood’s President Dr. Shellie Hipsky to benefit Milagros Day Worldwide! Ask any person, who was one of the strongest people in their lives growing up? Chances are their mother will be one of those people they mention. Whether it was staying up all night to help you finish a school project after working a double, driving you to practice everyday or picking you up every time you fell down thinking your world was about to end as a teenager. No one has made it more of their mission to honor these women than Dr. Shelly Hipsky and her Global Sisterhood of Inspiring Women. This Mother’s Day, on Sunday April 8th is the 5th annual Mother’s Day Walk & Family Festival in New York City. The purpose of The Mother’s Day Walk is to honor and celebrate Motherhood while raising awareness for those who have witnessed and experienced the tragedies of Domestic Violence. The walk is a New York City tradition held annually by Milagros Day Worldwide, a non-profit organization that empowers survivors of Domestic Violence through leadership coaching and mentorship; and a commitment to Turning Abuse into Success. Learn more and how you can contribute at http://themothersdaywalk.com/. Witnessing and understanding his female client’s struggles with their experiences is what has lured Kresson to support the “Global Sisterhood”. Kresson states, “I’ve seen and done my best to help thousands of women who have been in abusive relationships, where their spouses have done basically everything to break them. Dr. Hipsky’s organization promotes a fantastic message that no matter what you have gone through in your life as a woman, you can accomplish anything. Learn more about Dr. Hipsky’s global movement by visiting her online at http://www.globalsisterhoodonline.org/ and be sure to check out Robert Kresson and his agency at http://areyoususpicious.com/ to get the proof YOU need. Show Me the Money! You all know the iconic phrase from the blockbuster hit starring Tom Cruise as Jerry Maguire. On Thursday April 7th, 2016, Social Media expert and Empowering Woman supporter, Batya Maman, presented to the University of Pittsburgh Entrepreneurial Group, giving an encaptivating introduction to her secrets on how to do exactly that by converting your social media presence to save and make your business thousands in sales, instead of just “poking” people all day on Facebook. Learn more about how the queen of social media can help revolutionize your business by visiting her online at www.gobatya.com. Established in 1982, Empire Investigation LLC is a specialized private investigating firm. Since then, it is known as one of the industries global leaders, Empire Investigations LLC specializes in providing sophisticated, responsive, discreet risk consulting and intelligence services to clientele. The firm uses State-of-the-Art Surveillance and Electronic Counter Measures TSCM for investigations, corporate threat analysis and detection, and surveillance. This innovative expertise has been utilized by individuals, TV shows, government agencies, police departments, and corporations ranging from fortune 500 to small businesses. Expert teams from Empire complete on siteconsultations and installations for clients nationally and worldwide. The firm prides itself as one of the specialized leaders in its industry. Providing clients, a range of services and dealing with a variety of needs, from larceny, skimming, and fraudulent disbursements to embezzlement, Empire thrives on countering the moves and potential moves of their clients’ adversaries. With over 30 years of Global CounterEspionage experience, Founder and CEO Robert M. Kresson of Empire Investigations, LLC prides his agency on having the most up to date and advanced equipment available in order to gather and provide the level of evidence and service necessary to maximize his clients leverage. Empire Investigation LLC is committed to providing precise and discrete services to meet their customers’ needs and exceed their expectations. The investigations have resulted in the arrest and conviction of employees and others for crimes such as industrial espionage, fraud, theft, and embezzlement. The firm have saved corporations millions of dollars in lost revenues and stolen secrets and have helped clients win favourable judgments in domestic disputes such as alimony, hidden assets, and custody. The firm has grown extensively over the years and is only going to get bigger and better. The top global companies, celebrities, and world’s leading executives have used the services of Empire Investigation LLC to ensure that their assets and businesses are secure from prying eyes and ears. This is it! This is that big breakthrough multi-million dollar idea that is going to launch your career and/or your business to new heights and alter the current course of your life. You lose out on the bid by just the smallest margin. Your competition comes out with YOUR idea just before you can formally announce it. Personal circumstances (i.e. a nasty divorce or disgruntled employee) leave you concerned that they will reveal your strategy before it’s the right time (or to the wrong people). The big question you need answered is: How was this secret information obtained? In the 21st century, this answer is a lot more practical and obvious than you may expect. While our lives are constantly surrounded with new and advancing technologies to “simplify” and make life easier, it also creates a sense of comfortability in public, a lack of awareness, where EVERYTHING can have a lens and be recording whether you know it or not. The fact of the matter is, if you thought someone was going to break into your home, you wouldn’t leave the house without arming your security system or locking your doors right? The same thought process needs to be present when you’re discussing trade secrets or valuable information that is crucial to your livelihood. Whether in the comforts of your own home or in the confines of your high-rise office, there are people who are constantly trying to get a leg up on you to gain leverage. You must not leave the door open and let them have it. Use encryption software when disclosing personal information (bank accounts, social security numbers, credit cards, etc.). There are also encrypted messaging apps for cellphone use. Pay attention to any changes in the typical battery life or service capabilities of your cellphones. Bugged communications often have programs running behind the scenes that will alter your normal battery life! When disclosing sensitive information, place any known electronic devices in a separate room. Pay attention to the human element! Make sure new employees clear background checks before receiving clearances, notice any odd details on the property such as unusual cars, have security checks in place to protect your information. Contact a professional and respected TSCM expert for a confidential consultation and to sweep your location for any hidden devices or potential vulnerabilities. At Empire Investigations LLC., our Technical Surveillance Countermeasure (TSCM) experts have been trained by some of the best in the world, including the notorious G. Gordon Liddy, the Watergate chief operative himself. To be trained and run alongside members in every government agency on the books, our experts have seen and use cutting edge technology to check every corner and every device for bugs and taps that can be used against you. We’ve seen it all from disgruntled or new employees trying to take your top office to corporate espionage at it’s finest attempting to steal trade secrets and even the ex-lover digging up as much dirt on you as possible from the comforts of your own home. Suspicious? Get the proof you need! Call us today and set up a confidential consultation at 800-860-6068 or visit us online at www.areyoususpicious.com. As Seen in 400 Publications Across the Globe! In the fast paced society that we live in today, from our early ages we are constantly running from class to class, program to program, meeting after meeting. We are always on the go and always connected through social media to a constant recycling news cycle where everything is always changing. With this kind of life style, sometimes we fail to live in the present, in the “now”, instead constantly worrying about what lies instead. No one knows this better than Empire’s CEO Robert Kresson. As a private investigator for more than 30 years, Kresson and his teams have been flying across the country and at times the world at the drop of a hat, dropping everything in order to catch the next flight to get the proof his client’s need. With that, comes a level of stress that is sometimes difficult to cope with but is a requirement and necessity to work through in order to be successful and efficient. In order to learn more about how to combat stress and create an improved way of life, Kresson and his teams took part in the “Happiness Program”, a part of the Art of Living Foundation. After taking part in the courses, Kresson searched for a way to help spread the word to help others learn about these strategies and also to spread the idea of committing “random acts of kindness”. With that, came his partnership with the YesPlus Program. The YesPlus program helps teach students to thrive in life and lead with clarity of mind, resilience, purpose, and belongingness. 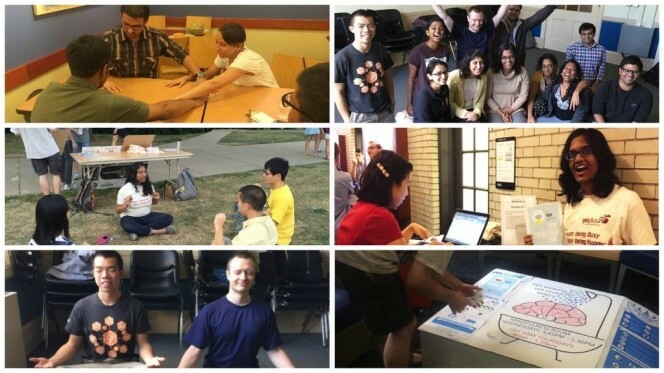 This innovative life-skills training program combines empirically-validated breathing and meditation practices with interactive discussions and experiential processes so students gain valuable skills to better navigate the personal, social, and academic landscape and pressures of college. YesPlus impacts the participants in these areas and has a ripple-effect in the society through the service module of the program. Network attacks can come from anywhere in the world, sometimes working through “proxy servers” to camouflage themselves. Some of the most notable attacks have been traced back to China, North Korea, and most recently, Russia. Russian hackers have stolen 1.2 billion usernames and passwords and over 500 million email addresses, stemming from 420,000 different websites. 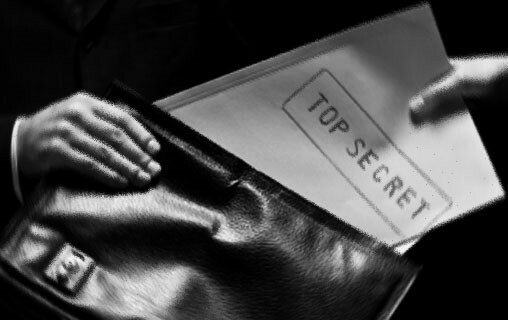 World leaders and common day bloggers were among the victims who now need to rely on the expert advice from counter espionage security advisors. “The focus needs to be on proactive measures. People do not want to wait until their data is compromised or stolen to start protecting it,” Kresson says, the same message of caution in his consultations to Fortune 500 security leaders. He adds, “One of our beliefs in order to help thwart these attacks is the implementation of Unified Threat Management System that protects networks using multi-layer proven protection technologies including Advanced Threat Protection (ATP), IPS, VPN, email and web filtering. Kresson recommends various methods and added layers of protection. Empire’s clients utilize internet gateway perimeter protection as a first layer of protection that provides an essential network firewall, plus protection for web and email gateways, laptops and mobile devices. The use of encryption technologies ensures that enterprise “protected information” is secure when both in transit (email) or at rest (stored on the network). They also install systems to ensure the protection of company users when surfing the web from virus and malware attacks utilizing Web Surfing and Filtering technologies, increasing the barriers of protection. Kresson says that technology is never a substitute for effective administrative security procedures. These are policies that enforce the use of unique and complex passwords that include a combination of lower and upper case letters, numbers, and symbols. He also urges for company employees to be trained on company security procedures annually. Understanding what a threat looks like can alert an aware user of the danger. If employees receive a link via social media, and have no background knowledge of the link, there’s a good chance that it is malicious code. Hacking and intellectual property theft are two-folded, external (hackings, etc.) and internal, meaning employees taking information out via external thumb drives (or other network endpoints), etc. It is crucial to monitor who has access to sensitive information and to lock this information down with DLP encryption technologies to ensure that only authorized information leaves the network in a protected manner and is logged as such. “Our biggest piece of advice for business owners, students, parents or the every day Internet user is to simply be cautious about what he or she clicks on. Be aware of anything that may look suspicious in email accounts or anything sent via social media which may seem unprecedented,“ Kresson says. Robert Kresson and Empire Investigation LLC have been featured on regional and national news outlets such as WTAE-Pittsburg Channel 4 and ABC Channel 11 for their use of the latest private investigation technology and “spy gear.” Kresson and his team have also received Pittsburgh’s “Top 12 Ethical Investigators Award” and several Citizen Care awards for their quality investigation and security work. To learn more, contact Robert Kresson at Empire Investigation LLC. Visit their website at http://empireinv.com/. On February 18th, 2015 at the grand opening of the new, beautiful and luxurious Monaco Hotel in downtown Pittsburgh, PA. 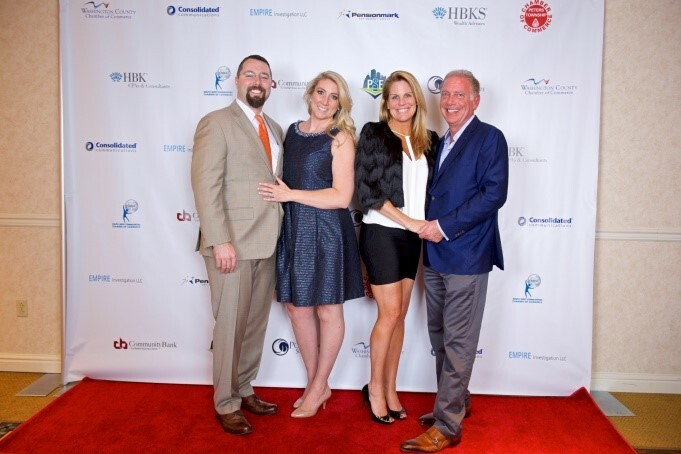 The Pittsburgh Social Exchange, with the help of VIP corporate sponsor, Empire Investigations, LLC helped to support and give the spotlight to The Highmark Caring Place. The Highmark Caring Place is a non-for-profit Pittsburgh organization that helps grieving children by creating awareness of their needs, providing programs for them and their families, and empowering the community to effectively support them. Thousands of community members are helped by The Caring Place each year at no cost through their peer support group, education, consultation, and referral services. The Social Exchange’s CEO, Ethan Nicholas, is proud of the work they do for local businesses and loves giving back to the city, its business owners and the kids that are the future of Pittsburgh commerce saying, “Our Pittsburgh networking events are diverse and are hosted at ever-changing locations in unique areas of our beautiful city.” The Pittsburgh Social Exchange has been recognized as the premier networking group of the city for a reason. This includes this latest event at the brand new Monaco Hotel. 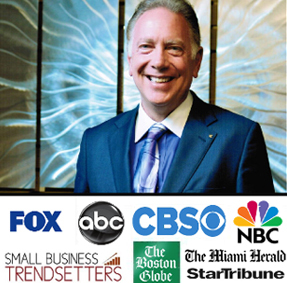 Recognized for his work around the globe, the media consistently calls on Empire Investigations, LLC CEO, Robert Kresson, as a reliable source for investigative and protective services industry commentary. Kresson and his team at Empire have garnered international acclaim, being featured in media from USA Today and the Pittsburgh Post-Gazette to the Jenny Jones talk show to the Saudi Gazette. Kresson says, “Most of our clients are dealing with confidential information, be it their business or personal lives. When people trust you with their lives you take every precaution available to protect them while the investigation is taking place. Clients can’t risk putting their most valued assets, such as their children into jeopardy.” Throughout his three decades of service, Kresson and his teams have helped protect countless kids from abuse and abduction, wrongful custody cases and even pedophilia. Don’t miss out on this dynamic duo’s next Pittsburgh Social Exchange event by checking out the event schedule online at http://www.pittsburghsocialexchange.com/ and get pre-registered for the 3rd annual PSE Golf Outing at Diamond Run Golf Course on August 3rd. Don’t miss out on a great event and even the chance to win $1 MILLION courtesy of VIP Sponsor Empire Investigations.